Last night when I was going home after a long day’s at work, I had to encounter this irresponsible behaviour affecting not only me, but many other commuters who were tired and all they wanted was to go home to their families for the weekend. This happened in bus number 43. 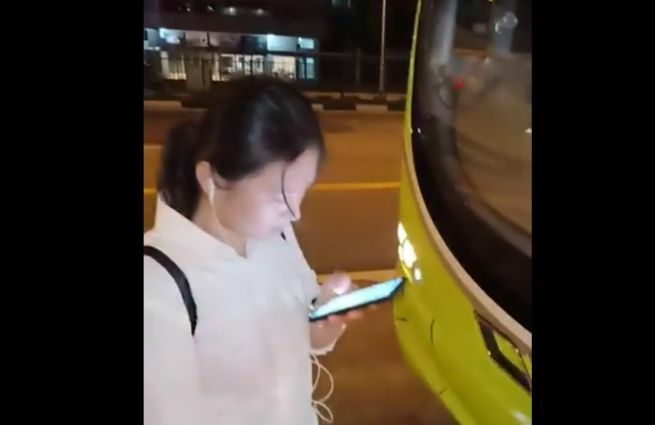 This PRC woman started making noise from the paya lebar mrt bus stop till the tai seng bus stop. Initially, I dunno for what reason (I do not understand her language) she kept making noise all the way till about 3 stops. What I understood at a later time was she had missed her stop and wanted the bus driver to u-turn back to her designated bus stop. The driver made all his attempts and efforts to convince her that it was not possible for him to return to her desired bus stop and was trying to offer suggestions which she did not understand and kept talking away. She then got down and even started blocking the bus from moving away. The commuters alighted too and tried to make reason with her for being a public nuisance which she opted to totally ignore. Seriously my dear SG govt, is this the type and quality of people you are importing to our country to be a pollutant? Aren’t they inducted into our country on their rights, responsibilities, rules and procedures?